The Rebel Sweetheart. : Foodie Goodie | FunBites + a Giveaway! Foodie Goodie | FunBites + a Giveaway! My son isn't a picky eater. Well, at least now he no longer is. There was a time, however, when feeding time used to be a pain for both of us. Back in his toddler days, there were instances when he simply would not eat anything, all the more if the dish contained vegetables. While I'm glad that he no longer has eccentric eating habits, I still look back to those days and think how nice it could have been had I discovered FunBites earlier in life. This fun tool would have been very useful during those trying times. Haha! 'Better late than never' so they say. I've been hearing a lot of good things about this product (especially from my mommy blogger friends in the US), and I finally had the chance to try it for myself after Bobbie Rhoads, founder and CEO of the brand, sent me my very own FunBites. An award-winning product, FunBites cuts through food by creating cute and fun bite-sized shapes, making them more appealing even to the pickiest of eaters. FunBites has a super sturdy and durable curved blade cutter that works on kid-friendly food such as pancakes, sandwiches, fruits, cheese, ham, and the like. Here's how the product works. 1) Separate the popper top from the cutter. Place the cutter on top of the food. 2) Hold cutter handles, press down firmly and rock back and forth to cut food. 3) Insert popper top. Lift the cutter up while pushing the popper down to pop out the food. Fun shapes in just three steps. Now here's my FunBites in action. 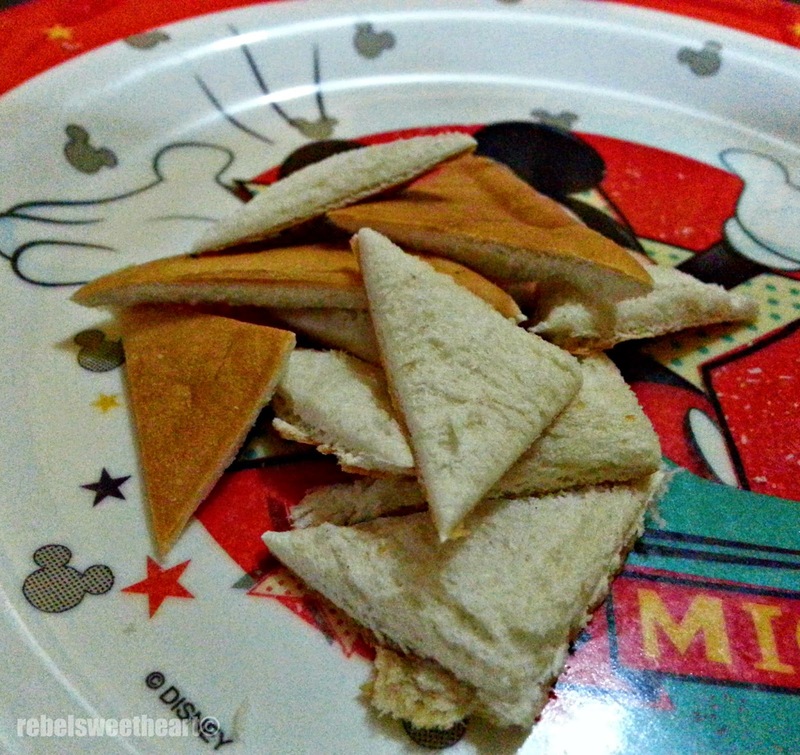 With FunBites, my little man's favorite peanut butter sandwich is now easier to pack in a small container. No more complaints of making him bring a big and bulky food container to school. Haha! ... turn into cute triangles! Cleaning is also a breeze with FunBites. Wash with a bit of dishwashing soap, rinse it water, and that's it. There may be instances when food would stick in the little crevices, so I suggest soaking them in water for a few minutes then use a bottle brush or a small brush for cleaning. Meet Peter the Picky Eater. FunBites sell for $12.99 each, or you can bundle two or three and save as much as 25% on your purchase. Buy two FunBites for only $22 or three FunBites for only $29. If you're purchasing from the FunBites website, you can use my coupon code BTSFun upon checkout to enjoy 20% off on all products. Giveaway runs from August 23 to September 23, 2014. Open worldwide! Thnk you for this lovely giveaway! Oh my what a cute concept especially when you love to do bento boxes! Wow! I love it! I bet bento-making moms will have a blast with this. Thank you so much for this giveaway--I think FunBites are SUPER cute! I would give these to my sister in law who is pregnant! 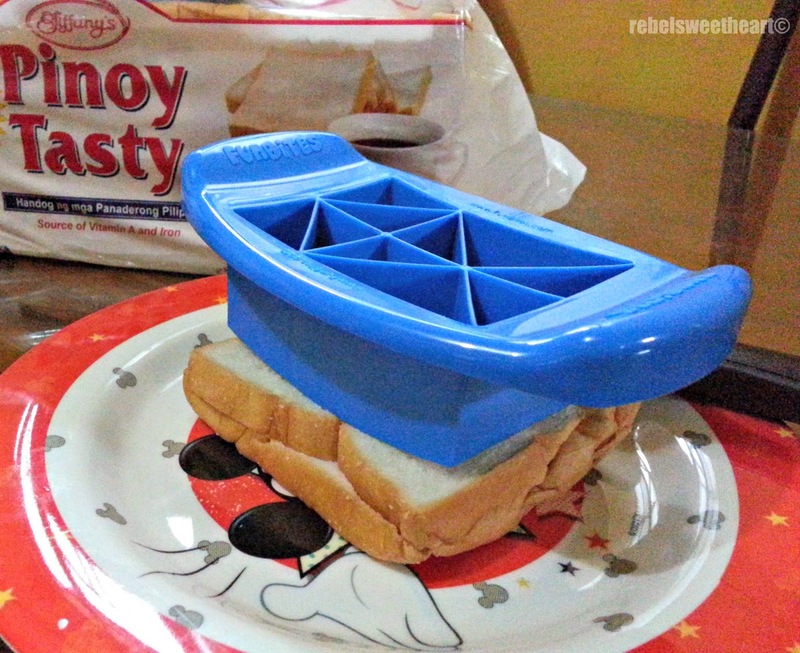 I've never heard of this product before, it would make cutting food for kids so much easier. I would love to have this for my kids. They enjoy fun ways to eat their food. how cool! My daughter would love this! I need to purchase this ASAP! This would have been a big time saver back when my Mom used to attempt to get my nieces and nephew to eat different foods. She used to create her own shapes using a knife etc--not that it helped with my nephew! this is super cool. i need to get this! Fashion Pulse | Punk is a Way of Life. Foodie Goodie | Le Manays. Wordless Wednesday #97 | Make A Wish! UFC Fight Night Macao | Le vs Bisping. Wordless Wednesday #96 | My Favorite Turtle. Spotlight | Ever Bilena Extreme Lipstick. Be the Next Face of Western Union! Wordless Wednesday #95 | The Look-alikes! For the Kdrama Addict | Places to Visit in Korea. Spotlight | Saforelle Gentle Cleansing Care. Foodie Goodie | Fish Katsu. Wordless Wednesday #94 | Cookfest! Are you Ready for Ironman 70.3?